Elisabeth-Gateff-Prize 2014 - gfgenetik1s Jimdo-Page! 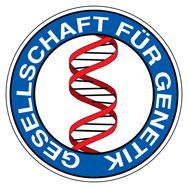 2000–2004 BSc Biology, Uludag University, Turkey.2006–2009 MSc Biology (Diplom), University of Göttingen. 2010–2014 graduate student with Prof. Dr. G. Braus, Institute for Microbiology and Genetics, University of Göttingen.